Railpictures.ca - James Booth Photo: The CP locomotive 5823 was the lead engine on a west bound train headed to Vancouver. I was lucky leave the Trans Canada Highway and get to the CP station in time to catch a crew change. In the 1980,s there was all ways something moving in Kamloops. | Railpictures.ca – Canadian Railway Photography – photographie ferroviaire Canadienne. Copyright Notice: This image ©James Booth all rights reserved. 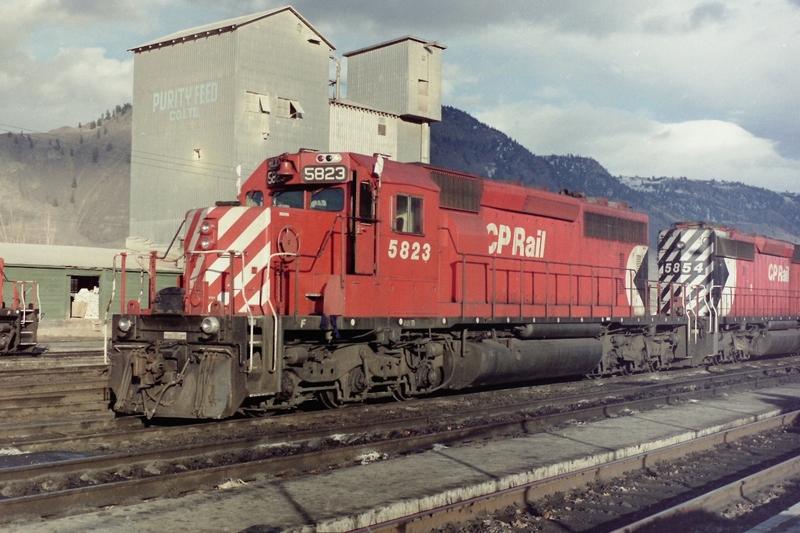 Caption: The CP locomotive 5823 was the lead engine on a west bound train headed to Vancouver. I was lucky leave the Trans Canada Highway and get to the CP station in time to catch a crew change. In the 1980,s there was all ways something moving in Kamloops.